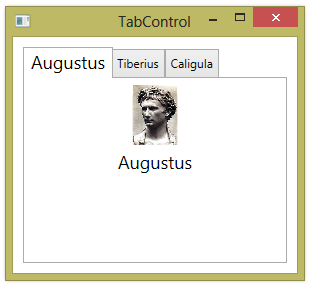 There are a couple of different ways to change the font used within a TabControl. You can set font properties on the TabControl itself. These properties will apply to the fonts used for all controls within the tab control, either on the tab headers, or within the content of a particular tab. 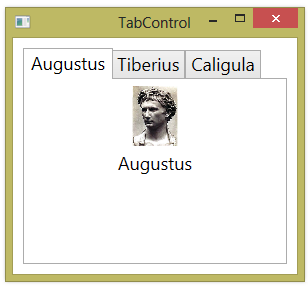 If you set a font property on a TabItem, that property will apply to both the header and content for just that single tab. If you want to change font properties just for text used in the header portion of the tab, you can specify the Header as a TextBlock and then set the font properties on that TextBlock.